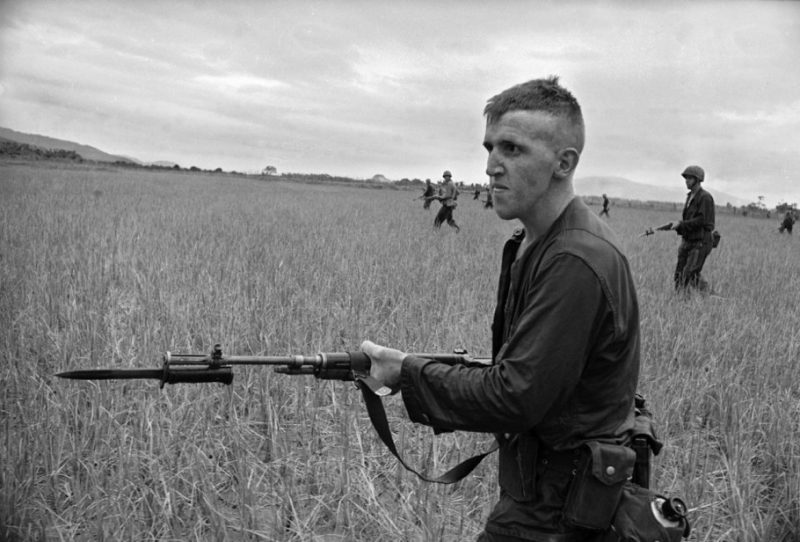 War dominated 30 years of Vietnam’s history last century. The struggle that began with communists fighting French colonial power in the 1940s did not end until they seized Saigon and control of the whole country in 1975. 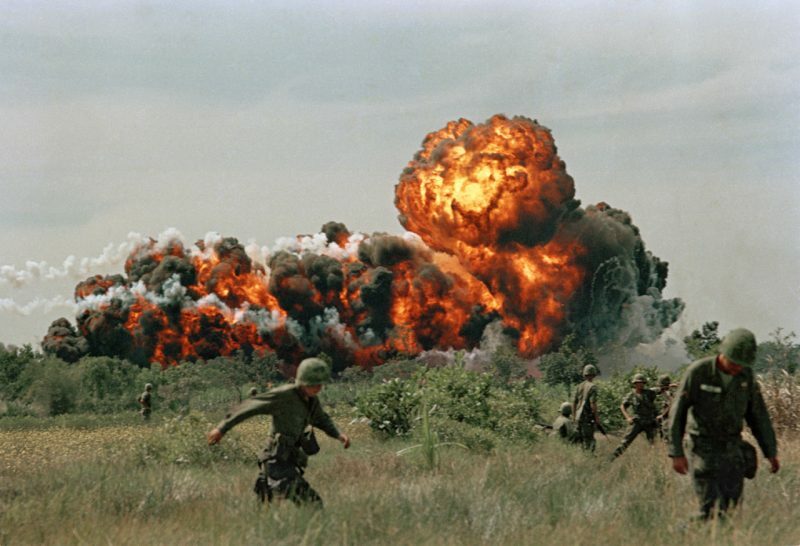 The period that Americans refer to as the “Vietnam War” – and the Vietnamese call the “American War” – was the US military intervention from 1959 to 1973. 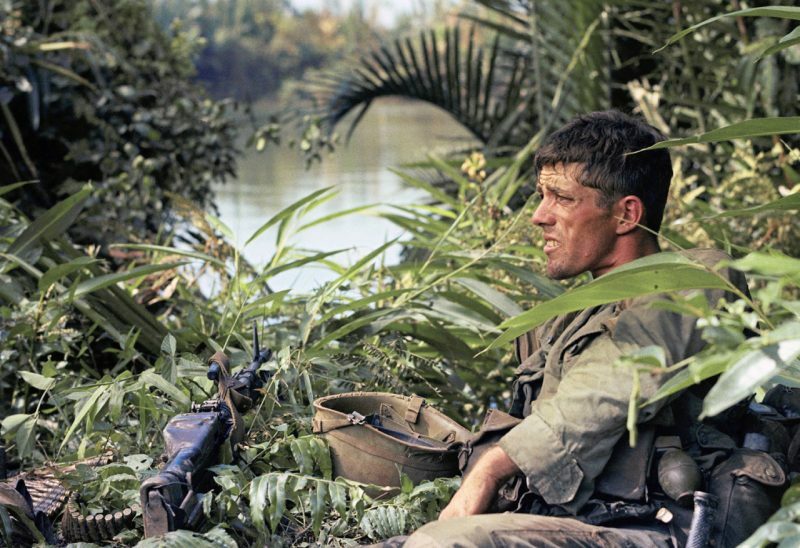 The Vietnam War was a long, costly armed conflict that pitted the communist regime of North Vietnam and its southern allies, known as the Viet Cong, against South Vietnam and its principal ally, the United States. 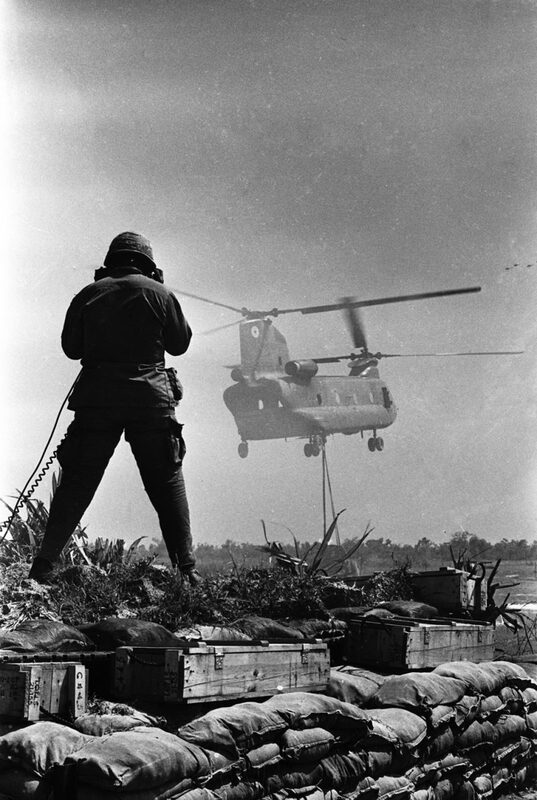 The divisive war, increasingly unpopular at home, ended with the withdrawal of U.S. forces in 1973 and the unification of Vietnam under Communist control two years later. 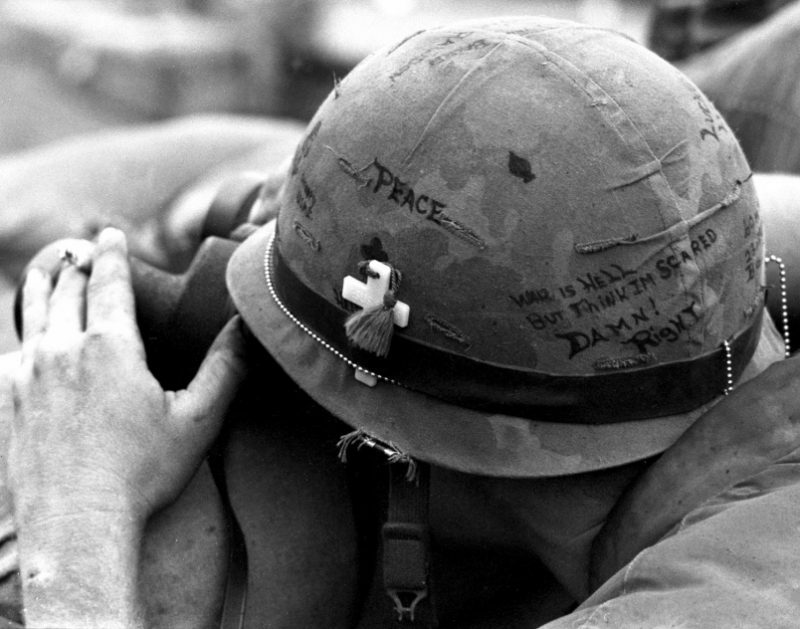 More than 3 million people, including 58,000 Americans, were killed in the conflict. The US was driven by Cold War concerns about the spread of communism, particularly “domino theory” – the idea that if one Asian nation fell to the leftist ideology, others would quickly follow. 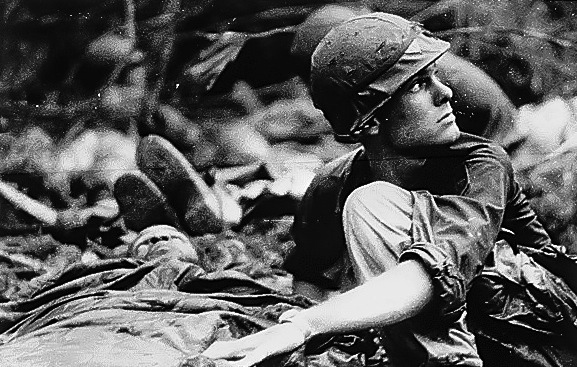 The Vietnam War was protracted and bloody. 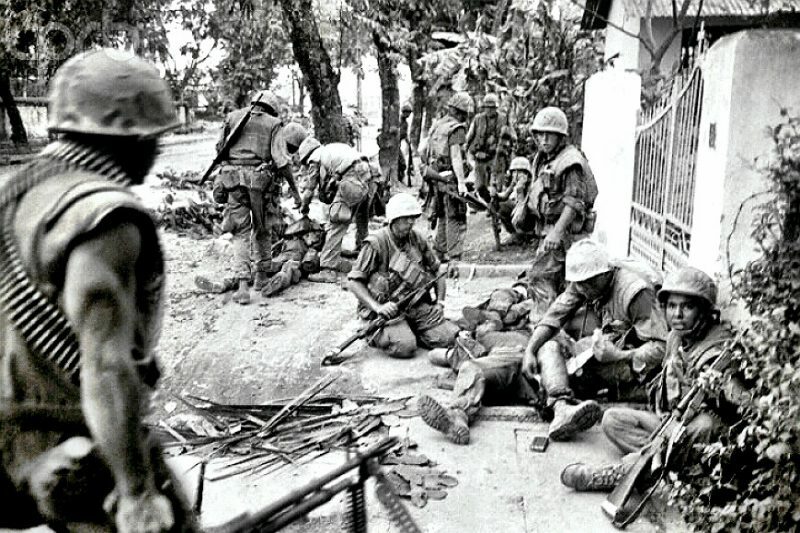 The Hanoi government estimates that in 21 years of fighting, four million civilians were killed across North and South Vietnam, and 1.1 million communist fighters died. 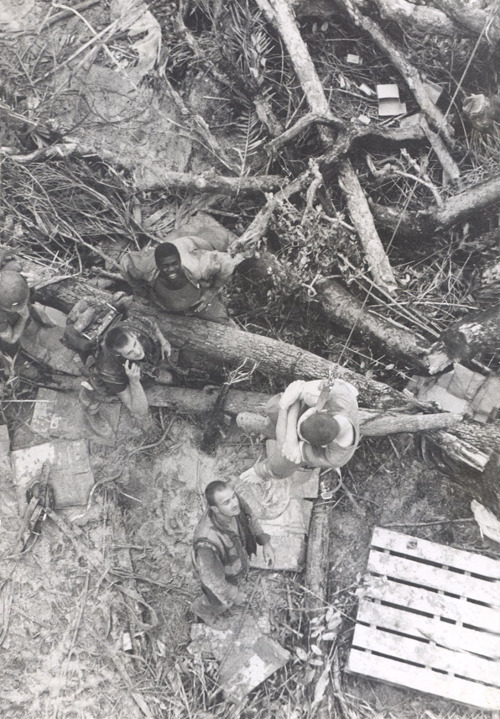 A med evac off Mutters Ridge, 2nd Bn 3rd Marines. 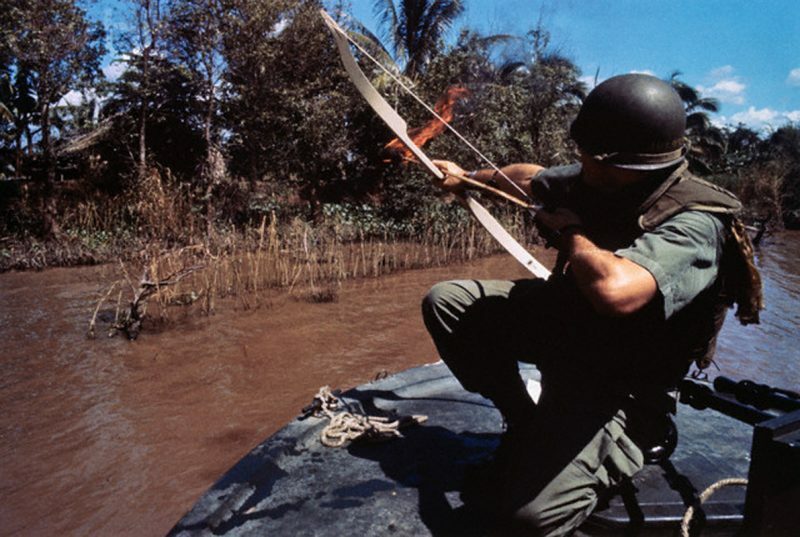 A Navy lieutenant aims his flaming arrow at a hut across the river that conceals a Viet Cong bunker. 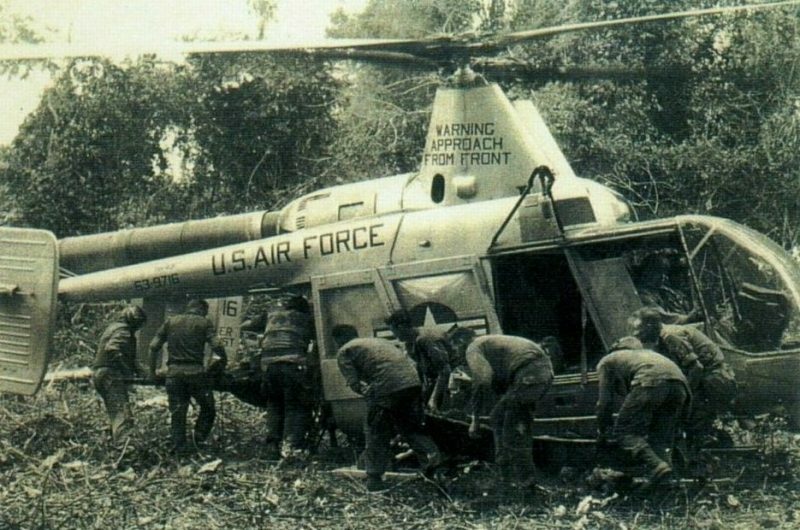 Rare picture of an HH-43 Pedro evacuating casualties during operation Abilene. 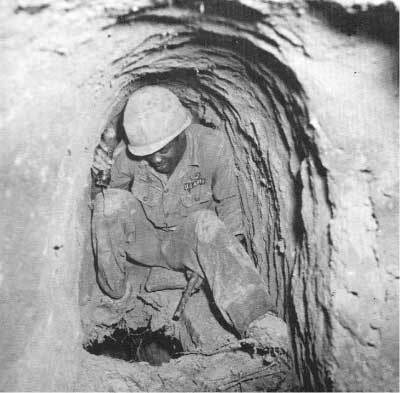 Tunnel rat Melvin Sherrell, KIA December 13, 1966. An RTO carrying his ruck incorrectly while crossing the stream, most likely only temporary! 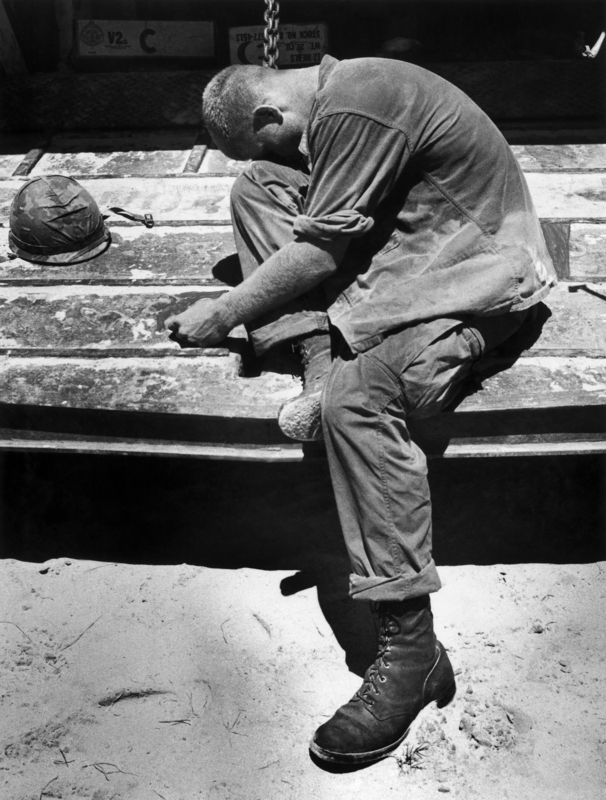 The United States began drastically reducing their troop support in South Vietnam during the final years of Vietnamization. 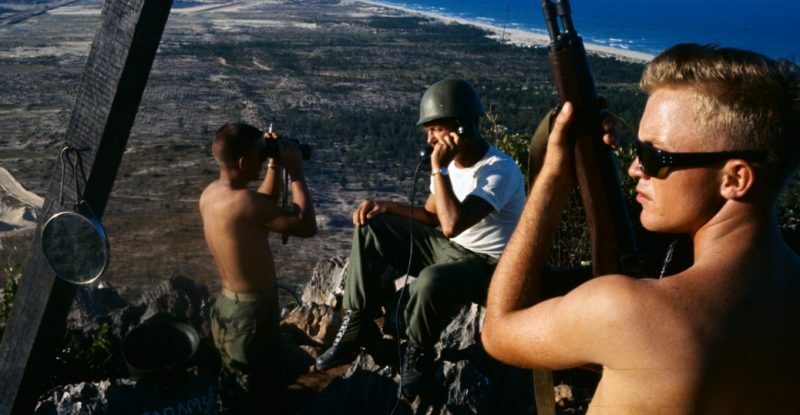 Many U.S. troops were removed from the region, and on 5 March 1971, the United States returned the 5th Special Forces Group, which was the first American unit deployed to South Vietnam, to its former base in Fort Bragg, North Carolina. Under the Paris Peace Accords, between North Vietnamese Foreign Minister Lê Đức Thọ and U.S. Secretary of State Henry Kissinger, and reluctantly signed by South Vietnamese president Thiệu, U.S. military forces withdrew from South Vietnam and prisoners were exchanged. 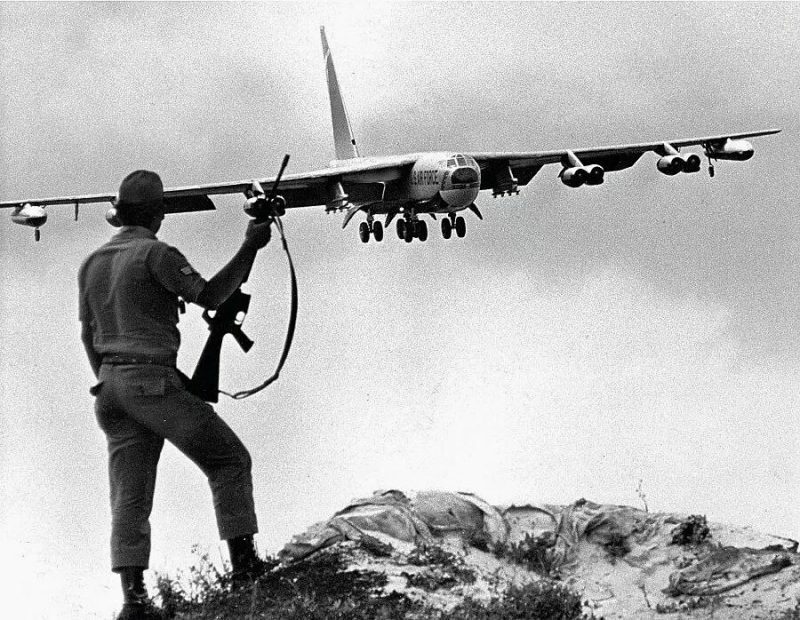 North Vietnam was allowed to continue supplying communist troops in the South, but only to the extent of replacing expended materiel. Later that year the Nobel Peace Prize was awarded to Kissinger and Thọ, but the Vietnamese negotiator declined it saying that a true peace did not yet exist. The communist leaders had expected that the ceasefire terms would favor their side. But Saigon, bolstered by a surge of U.S. aid received just before the ceasefire went into effect, began to roll back the Viet Cong. The communists responded with a new strategy hammered out in a series of meetings in Hanoi in March 1973, according to the memoirs of Trần Văn Trà. As the Viet Cong’s top commander, Tra participated in several of these meetings. With U.S. bombings suspended, work on the Ho Chi Minh trail and other logistical structures could proceed unimpeded. Logistics would be upgraded until the North was in a position to launch a massive invasion of the South, projected for the 1975–76 dry season. Tra calculated that this date would be Hanoi’s last opportunity to strike before Saigon’s army could be fully trained. An RTO guides a Chinook delivering a sling load of materials and supplies at Fire Support Base Pershing, near Dau Tieng. Name and date unknown. 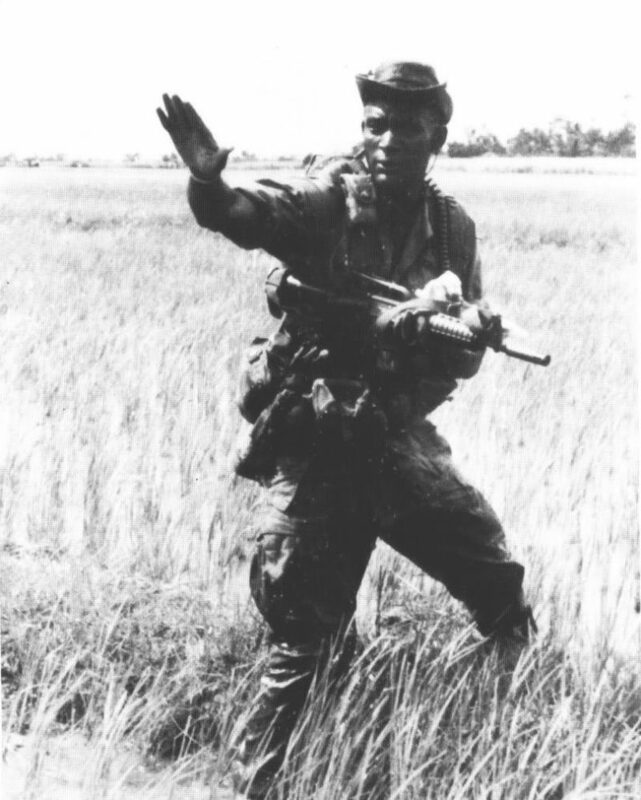 A LRRP team leader, unit D, 1st Squadron, 4th Cavalry, 1st Infantry Division makes it signals his men during a patrol in 1967. 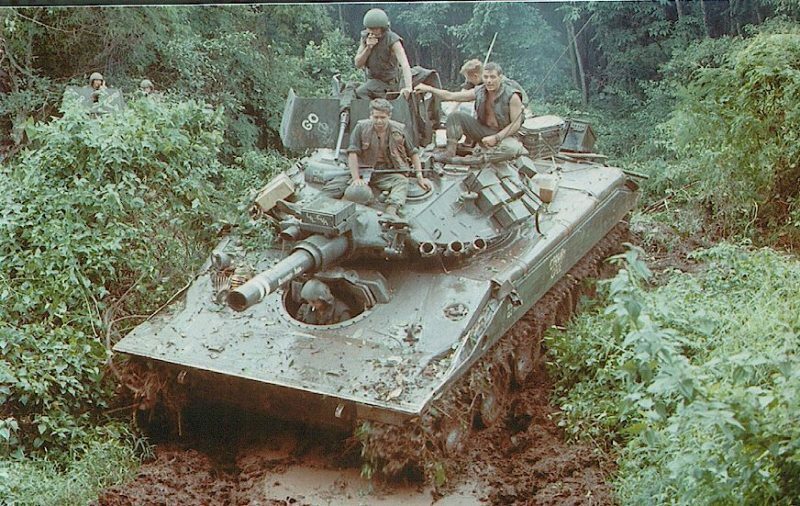 M551 Sheridan of the 11th Armored Cavalry Regiment. 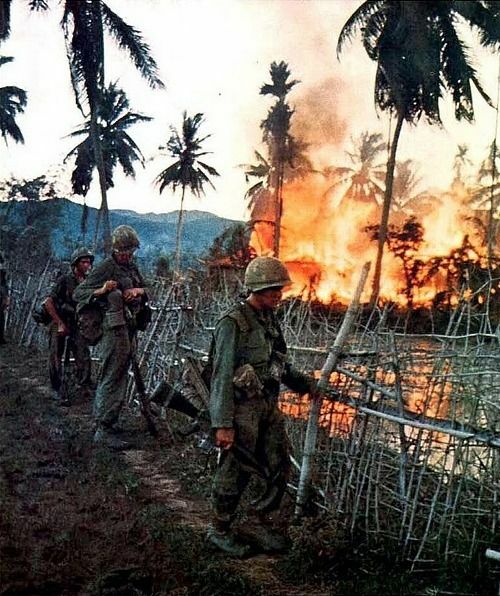 American soldiers after burning a village. 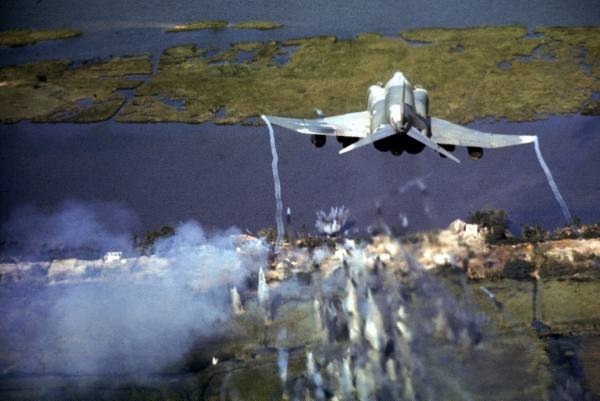 American F-4C Phantom jet streaming contrails from wingtips while regaining altitude after bombing small village known to be a Vietcong stronghold during Vietnam War. Getting very “short,” a 1st Air Cav trooper near Bong Son keeps close track of his last remaining days in Vietnam (SPC5 Frank Moffitt/U.S. Army/National Archives). 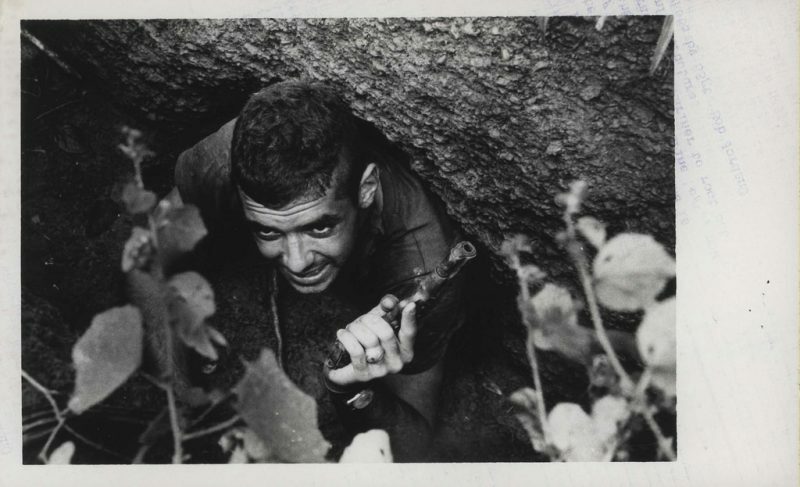 LCpl William G. Cox emerging from a VC tunnel discovered in the Batangan Peninsula. When mapped, it was over 158 yards long and two levels deep. 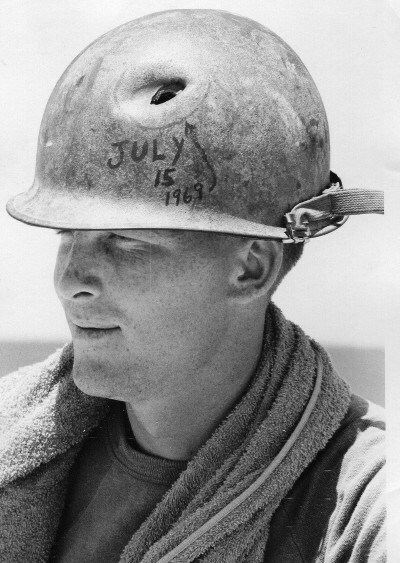 Soldier carrying the name “Patricia Ann” on his helmet as a reminder of the girl back home. 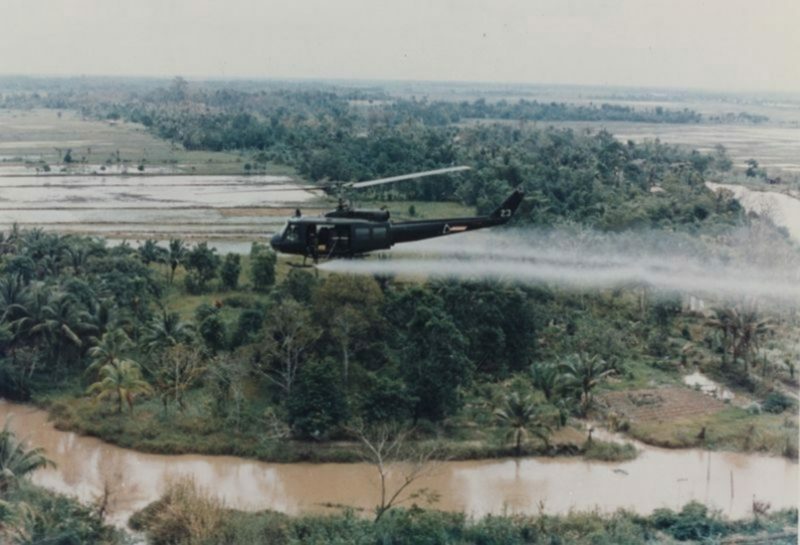 A U.S. military helicopter sprays Agent Orange over Vietnam in this undated photo from the war. 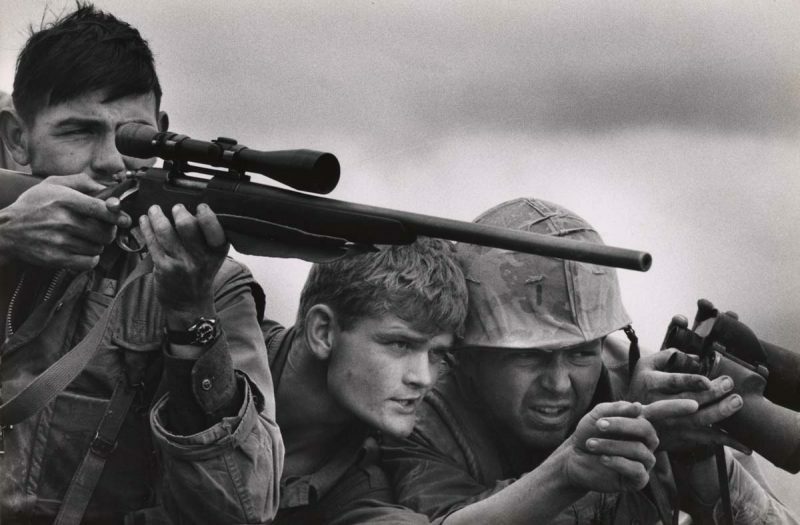 A US Marine sniper team at work in Khe Sanh, South Vietnam, February 1968. By David Douglas Duncan. 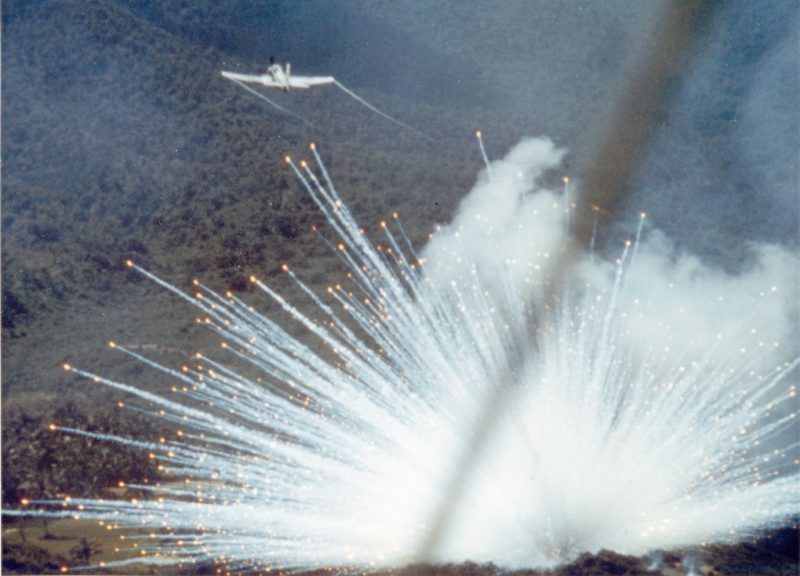 A Douglas Skyraider pulling up after dropping White Phosphorous, a/k/a Willie P.
An exhausted marine sobs after carrying wounded and dead marines from a battle on An Hoa Island, South Vietnam, July 9, 1965 by Pulitzer Prize winner Eddie Adams. Also, don’t forget to check out the promotion for my new book, “When Can I Stop Running?” If you haven’t read my first book, “Cherries…”, there’s a free e-book waiting for you. Click HERE for more info. Next Next post: What Was It Like To Hump The Boonies in Vietnam? Some never before seen pics for me, good stuff. On the 6th one up from the bottom, that’s a Douglas Skyraider pulling up after dropping White Phosphorous, a/k/a Willie P.
Thanks Chris! I’ll add the words under the picture. I do appreciate it! thank you so much for making me a better student of the war in vietnam! my tie to the war started at birth! I was born in FT. rucker U.S. ARMY helicopter pilot training base in Alabama! IN “1962” (the coming of age of the helicopter) my father was a helicopter mechanic. & as I got older & started asking questains about vietnam (because of what i saw every night on T.V.) my dad told me that in his first 6 months everyone wondered why soooooo many new pilots were being trained at such a rapid pace? in my opinion & my father P.F.C. Donald larwence Dutro. & most of the bases mechanics(that had a 4 year hitch There! & saw pilot training quotas keep going up! along with more & more trainers(helicopters)arriving. strongly thought even in “63” that something was not adding-up? I am & always will be heartbroken when watching Saigon fall on the day after my “13”th birthday! apr/30/75 my father died at 65 years of age(his death was NOT Vietnam(he was never there!) or army related! However (& i dont know why?) 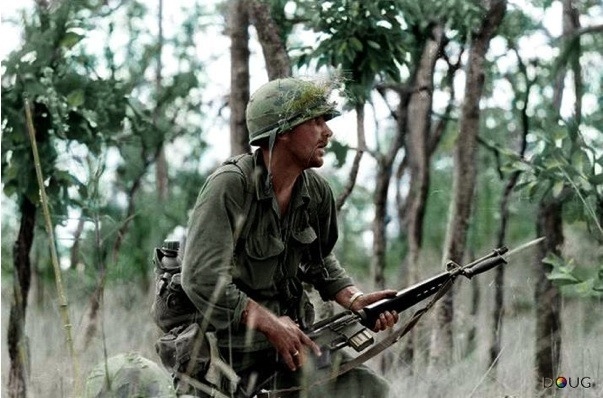 the war in vietnam is Very close to my heart! and I will never tire of learning MORE about it! hey vietnam vets I know you guys are dissapering at an ALARMING rate! but i promise you the nation will never forget you as long as I am still breathing! thank you for teaching me more about what it was to be a REAL Vietnam veteren! I loved president Richard millhouse Nixon! (this is where my dad & me differed) even though i am so much younger then y’al I dont think we will be alive to see the sure end of The Once greatest nation on earth! I salute you! & Thank you! Yes it’s very true that the VN war has also had huge impact on people who were never there.. 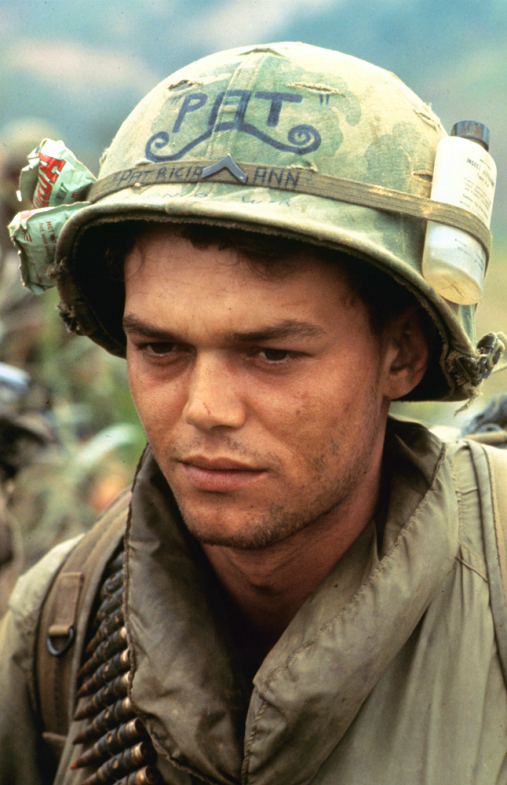 Thank you for all the pages.I was looking for MACV logo and pedro med dustoff when it was linked to yours.After reading all your pages, I now know why some guys and gals put a gun to their head.Am really tired out after this long bout of war.Depressed and worn out.Battle fatigued. After 2nd paragraph , lost interest. ‘Communist regime of North Vietnam….. and Viet Cong allies’? By 67, most of us fought NVA — better armed, well trained, organized w communications as any other modern military, well supplied, fanatical and led by their 20+ yr combat veterans that didn’t like losing. Heck, a good portion of NVA were vets until md 68 before we started running into units that were a little rough around the edges. OH, anybody mention outmanned, especially hill and border fights. 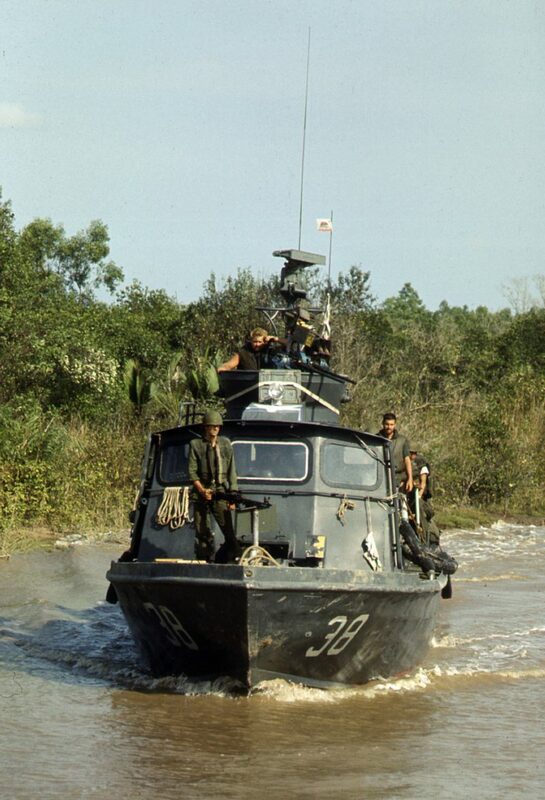 NVA often chose contested areas and the marines , in their arrogance, didn’t care. Can’t speak for Army. Went looking a bit and ran across Platoon bit and ya lost me with the cast being high to add realism? Are you daft? We may have been young and crazy, but learned pretty quick what dead meant. And when you figured out, and it didn’t take long, that neither side was keen on POW’s, HIGH = Dead, don’t gotta be a math genius to figure it out. 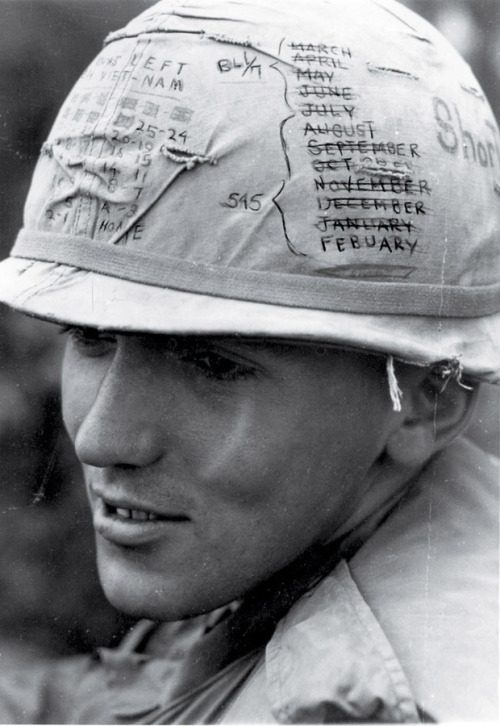 USMC had more casualties in Vietnam than in any other war and we only had 2 under strength divisions for about 5 years? Then look at all of the casualties, or you can be clever and just get casualties from combat arms. Then break it down any which way you want — race, age, gender — and your politically correct, revisionist history then needs a lot of rewriting. Last, guess I’m lost or I don’t get it. There’s a ton of photos out there that are a heck of lot sadder , thought provoking. It’s the thought that counts, right? Welcome home….. Bull, take it and stuff it. Nobody really cares until political, military, media need to dump on us — over n over, it doesn’t stop. Thank you for your service and Welcome Back to the World! Semper Fi! Got out , was lost and rejoined doing over 35 years. HATED lifers through out but loved troops and kept me in, didn’t even notice until they told me it was time. 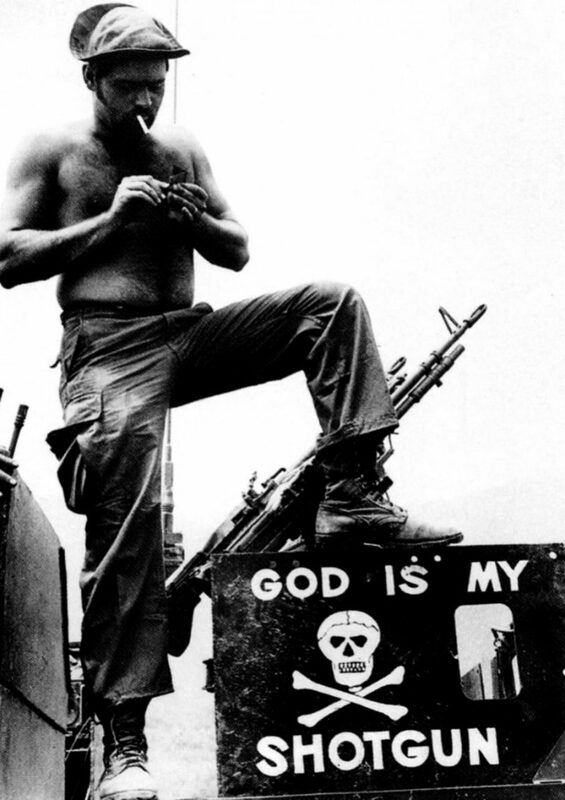 Was lucky in Nam that I had plt Sgt and Co gy , over time n w some overlap,that were WWII n Korea. 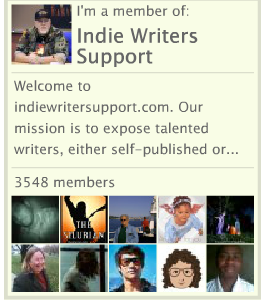 My mentors, heroes of sorts. Don’t know how I got Sgt Maj n an infantry regiment in last billet. Had some guardian angels that took a like to me. Have more letters of reprimand than any drawer could hold– my angels looking out for me vs military judicial system. Decking a Captain, hazing as in just pinning on the stripes in formation as 1st Sgt, rifle co. Could go on, AND ON, but you get the point in having some angels on your side. Made the rounds and way too many joint operations w live rounds inc Shield, Storm, Storm II. I did 2 in Nam because of 1 sibling rule, my brother wouldn’t have been able to hang. So I was there, hill and border fights up north, 67-68-69. Grew up on west side of Chicago and almost everyone went, drafted. Quite a few ended up along Cambodia AND Into Cambodia , all mostly grunts. Division Street Spartans were well represented and a lot in 70s. Just saying and I’ll agree to disagree regarding drugs. Bush, pretty much a no-no across board, however any camp — base, fire, forward — another story. I know, CBS had this guy w shotgun n weed n ….. Whatever. Thanks again, appreciate time, effort n what your trying to do. Yes; we had draftees in 1969 and they were just as good as any other Marines! I’m convinced that the draft was really good for the whole country.. it made us all feel like we had “skin in the game.”.. actually i had more respect for the draftees because they weren’t using it to advance a military career.. the Way career military guys like myself knew we were doing… the draftees were doing it out of a true sense of duty usually.. I was also convinced that any of them could have found a way to avoid it if they were determined not to go. The draftees always had my highest respect! The very thing Major Green told me when we discussed how stories could be so different. I’ll take you up on reading your future book and provide feedback when finished. Thanks! few stories and would like a more accurate account on what went on. 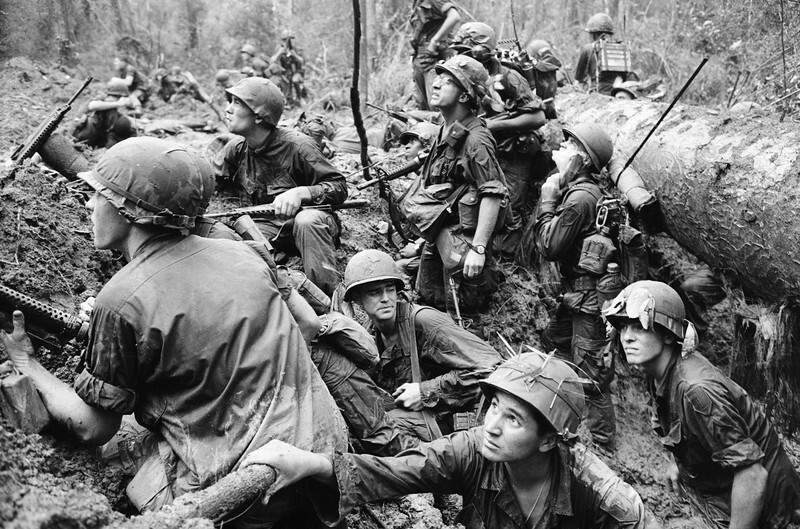 I appreciate the updates.photos would be nice.Again I feel for all those who went to Nam because not did the American introduction changed the course the war but how we live today in other parts of the world.You sacrificed so many lives that millions of people globally can have freedom. First, I didn’t serve in that area. Death Valley was ‘down south ‘ and not sure of spelling but Que Son area, I believe. The best people to talk to about it would be marines from the 1st Mar Div, predominantly 5th and 7th Marine Regiments. They served there extensively, running many operations there. If memory serves, Army — Americal Division along w possibly 196th which may have been airborne — served in that area also. I think 1969, there were many ops there and it wasn’t the Americal Div finest hour . Leadership issues from the top , down failed the troops in getting them prepared , motivated with discipline being very lax creating more issues. Keith Nolan wrote a book ‘Into Cambodia ‘ where good leadership turned around several divisions and would be a good place to understand the impact of leadership and unit effectiveness, performance. If you also take into account that those divisions had a fair number of ‘conscripts ‘, it could be used as additional pro draft , conscription position vs the ‘all volunteer ‘ position that most people nowadays are brainwashed into. Death Valley, over time, the NVA had moved at least 1 well equipped, well supplied Division there. Just to clarify, NVA were well trained, equipped, supplied and organized as any modern military and had many 20+ yr combat veterans. The marines continuously ran operations there and NVA continuously opposed, receiving replacements and supplies throughout. The fighting there was somewhat atypical of the hill and border fighting throughout the war. 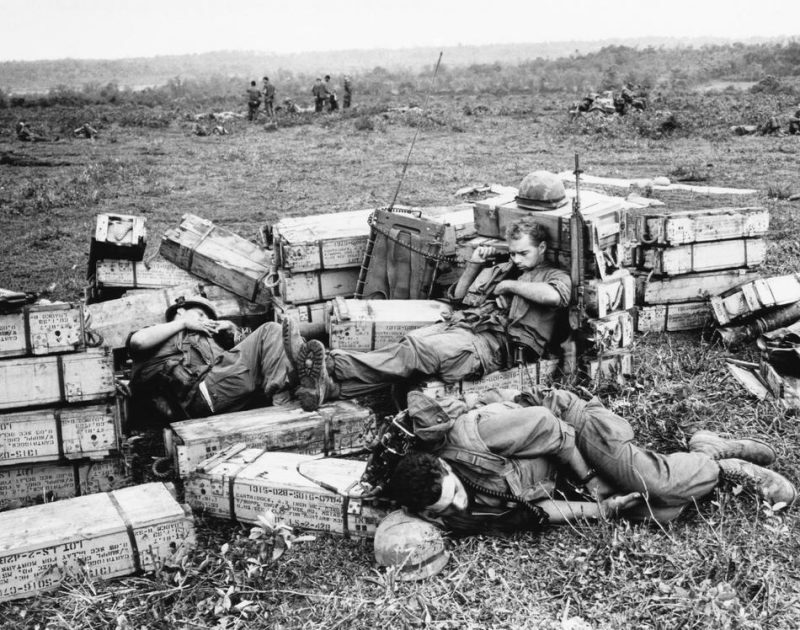 Marines continuously attacking NVA positions despite being outmanned , outgunned throughout. Former senator from Virginia, James Webb, was there, I believe, as marine plt cmdr, Co cmdr and was wounded and decorated in actions there. He wrote a book called ‘Fields of Fire’ that occurred there. While Fiction, it pretty much describes the fighting, conditions there. Also known to Marines as the ‘Arizona Territory ‘. I’ve read Keith Nolan quite a bit and he has a book called ‘Death Valley ‘ which I did not read. However, I’ve been told that it wasn’t one of his better books and there are a number of glaring errors. What I heard was from marines who were there. Last, Death Valley in the Arizona is often mistaken with the battles of Ia Drang and A Shau. It was an area south of Da Nang that became a killing field of NVA and marines. Just as a point of reference, we attacked the same hill that was only about 1400 meters from us, peak to peak, 3 times in a span of less than a month and the casualties were equivalent to entire marine rifle co. You could look at Death Valley, Arizona territory same way. The RTO with the low pack has put it that way so he can drop it quickly and still keep the radio on the ruck. RTO came up with all sorts of ideas to help carry the PRC-25 radio. 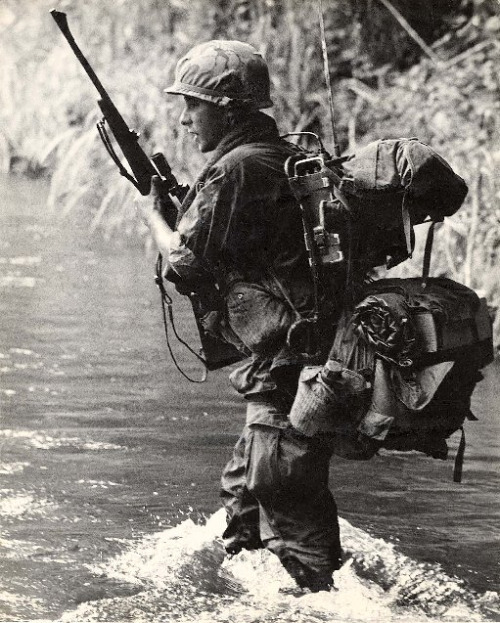 They had to keep a spare battery and the long antenna with them at all times, and since just the radio was heavy the ruck frame carried the weight better. Great article. It brings back some very sad memories. The photo of the “Sad, lonely & tough…” soldier (sitting) is Wayne Thomas Stevens. He died 22 Apr 2007 and was interred at Ft. Rosecrans National Cemetery. Thank you Bonnie for the information. May Wayne rest in peace! Hi pdoggBiker Your article rings true with my brother’s experience. My four older brothers all served in in country/Vietnam 1966-67-1968-70- 1971-72 . (PFCVernon 173rd KIA, Tech Sgt.Tony AF Spooky Gunner, Cpl. 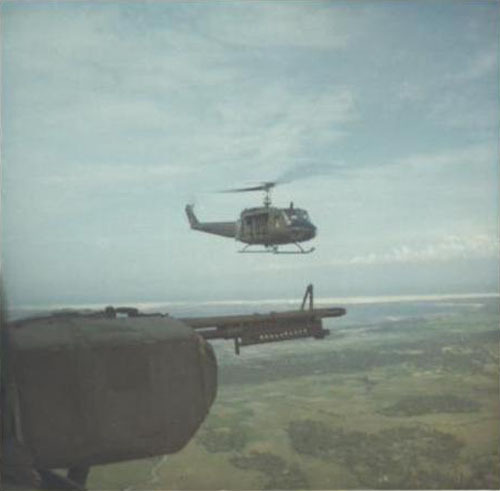 Bill 25th Infantry and S.SgtDavid 5th Regiment/ 1st Cav Air Mobile) This a good article. The photos are important for the youth of tomorrow. I agree with the draft being good for the nation’s young and our countries fiber. S. Sgt David had two volunteers with Commissioned and Snr.NonCom, rank turn and run in battle. Also, my brothers split 2 drafted 2 Volunteered. I was drafted too and saved by the amendment to the Sole surviving son Act January 7th 1972 from being sent over as a Recon Scout. Lot of great comments. I was at Ton Son Nhut, Dec 68 – Dec 69. Assigned to Det 1, 834th Air Div, C-130. First couple of weeks, I would notice C-141 park on the ramp in front of ops and unload metal boxes. A couple of days later, metal boxes would be on loaded. I finally asked what was the deal with the metal boxes. One answer KIA. That is when you realize the loss of life. Two guys I went to school with, Jim Claybaugh and Tom Foreman were KIA the early part of 69 and brought to the mortuary at Ton Son Nhut. Reality sets in real fast when someone you know becomes KIA. Very well made site. I am back in school taking web page design and will ever be returning to check yours. It is good to see the dedication of our vets and the love for each other. I am x-Marine 59-63 and missed the action. My Brother served in Nam and retired from the USMC as M/Sgt. We are so proud of his service and all that served and serving. Sad to see this pictures. Bringing back a lot of memories I was there 66 -67 Pleiku. 1 / 22 Inf. 4th Inf. Div. Most of the time in the Central Highlands jumgle.